Florida is well known for its great surfing spots, but there is more for the watersports enthusiast to explore along its coastline this summer. 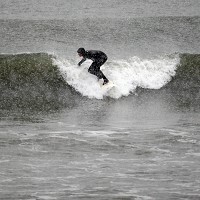 From September 1-5, Cocoa Beach on Florida's east coast will host the NKF Pro-Am Surf Festival. The 26th edition of the annual event promises five days of fun, adventure and entertainment. A watersports travel insurance cover is advisable for visitors who want to take part in the various activities offered at the event. Or they can cheer on amateurs and professionals in the sporting competitions, and watch BMX demonstrations and bikini contests. Fans can also explore the Cocoa Beach Surf Museum, which recently opened a display dedicated to the legendary Kelly Slater. Local hero Slater, who has been crowned the surfing world champion a record 10 times, has donated several articles and memorabilia to the museum. Other attractions along the east coast include Nasa's Kennedy Space Centre and the popular Brevard Zoo.